I’ve worn glasses since the summer before first grade. Considering that I turn 30 tomorrow, that’s a long time. 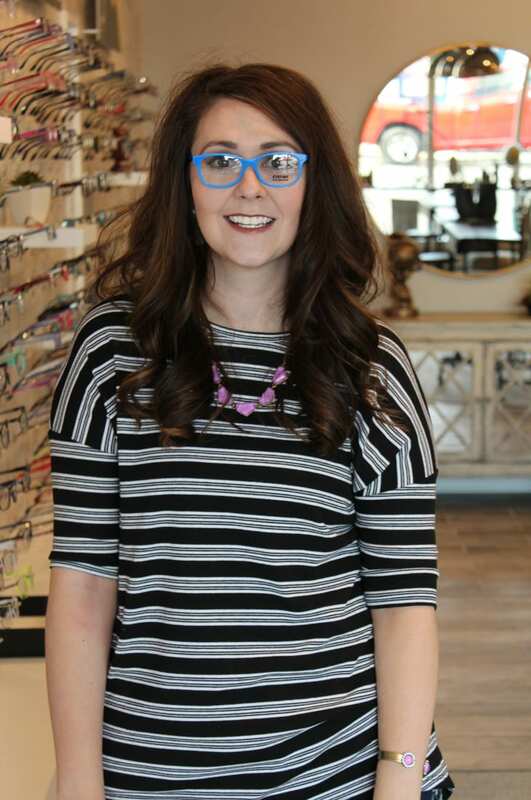 I used to hate my glasses–I switched to contacts in the third grade. It wasn’t until college that I started to see eyeglasses as a fashion accessory and was no longer embarrassed to wear them. Now I love my glasses and always look forward to getting a new pair! I am very near-sighted (fyi, I’m a -9.50 in one eye and a -9.75 in the other). So when I purchase glasses, I always have to get the thin lens option ($$$). I also spend all day, and sometimes all evening, on a computer, so I find that the anti-glare option is a must (even more $$$). That means that my eyeglasses are usually outrageously priced. Even with insurance, it’s not unusual for me to pay $300 or more for a pair of eyeglasses. 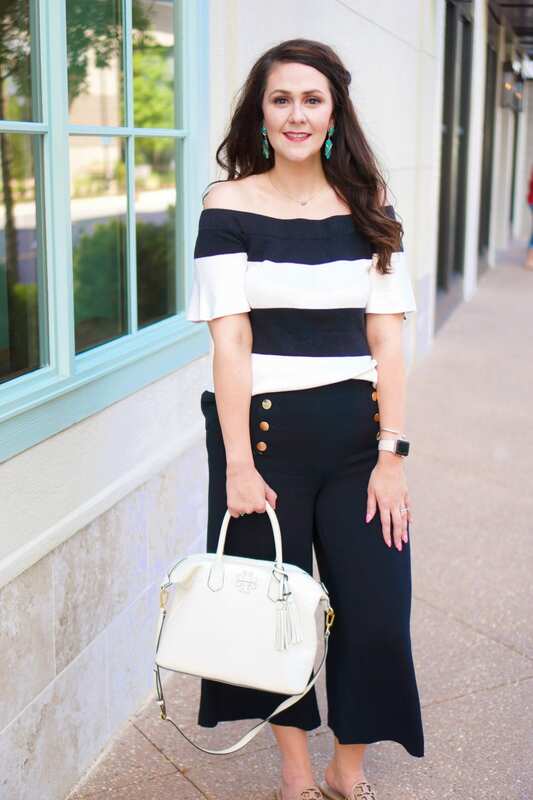 So when I went to get my eyes checked at Stratton Eyes, I was so excited when Dr. Ko told me about a new concept store she and Dr. Stratton had opened here in Lexington, Kentucky. 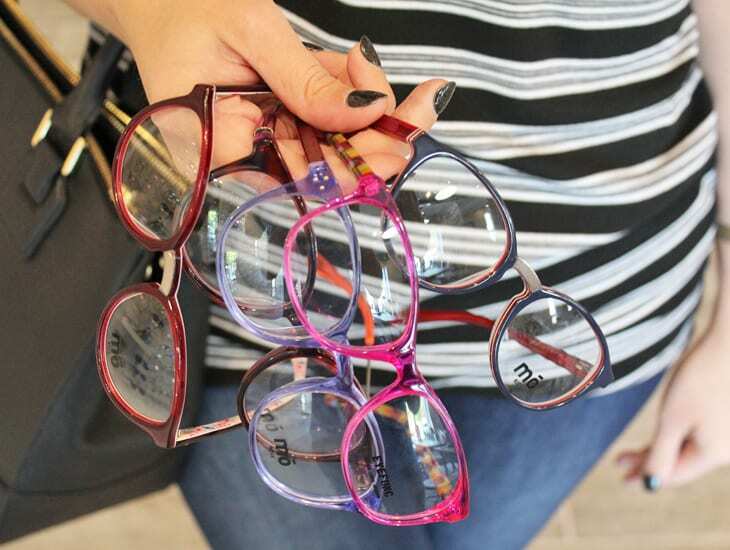 They realize that the cost of eyewear has continued to rise. 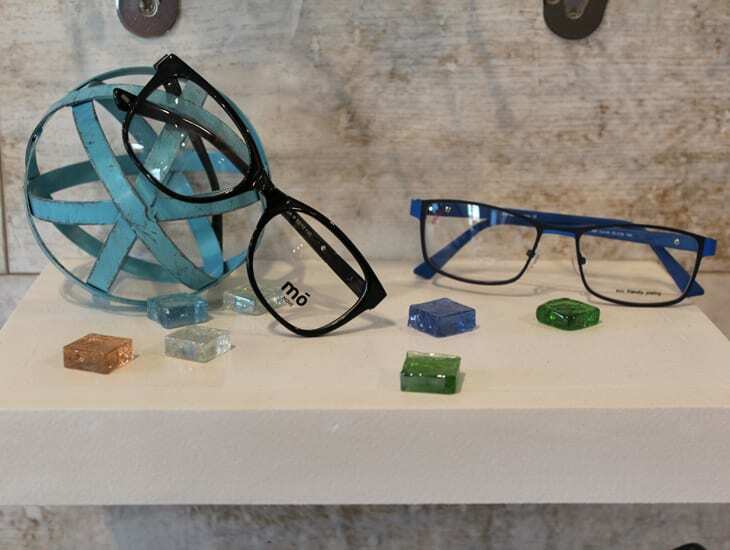 So they set out to bring customers a new optical experience with J. Galt Eyewear. 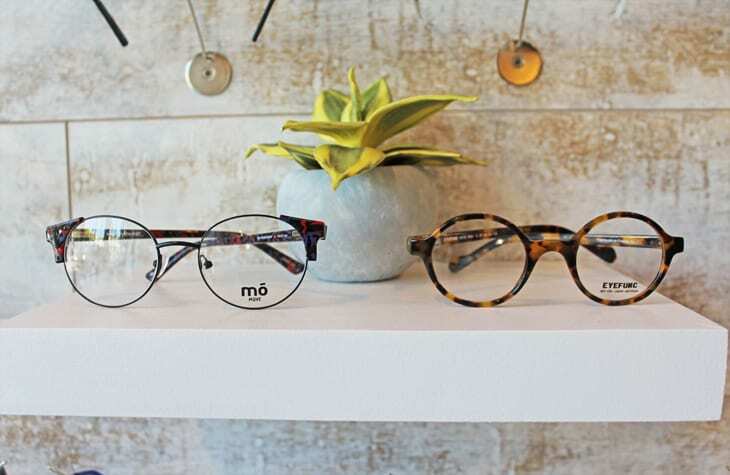 What’s so special about J. Galt Eyewear? First and foremost, a complete pair of single vision eyeglasses with all the bells and whistles is only $175! 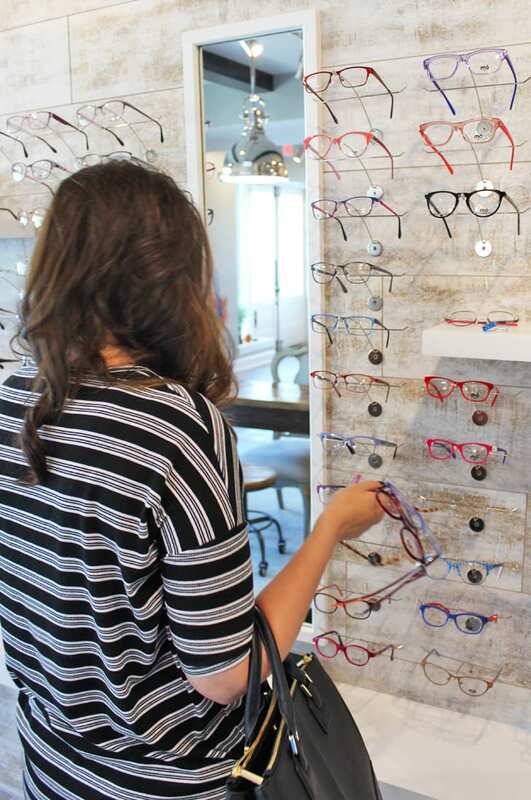 No, that’s not a typo–every pair of single vision eyeglasses is just $175!!! For $175, you get your frames, lightweight lenses, non-glare coating, and a limited one year warranty. Guys, I was in shock!!!!! Second, J. Galt is all about giving back. 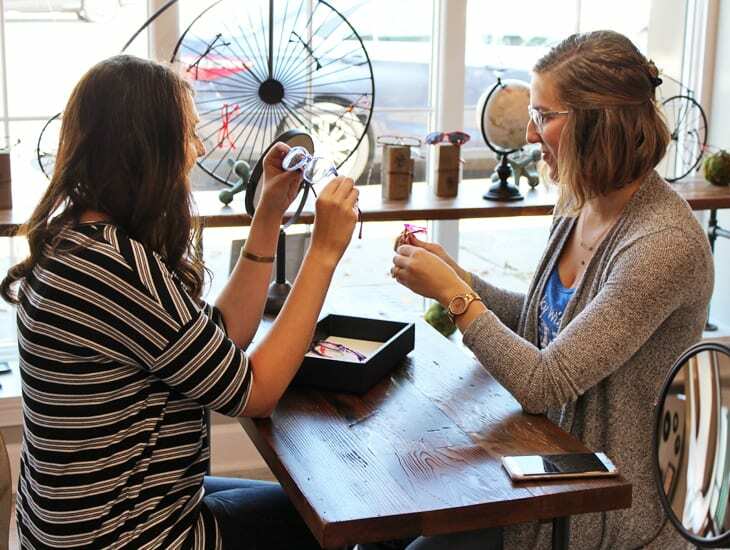 When you buy a pair of glasses, they will donate a pair of frames to someone in a developing country! 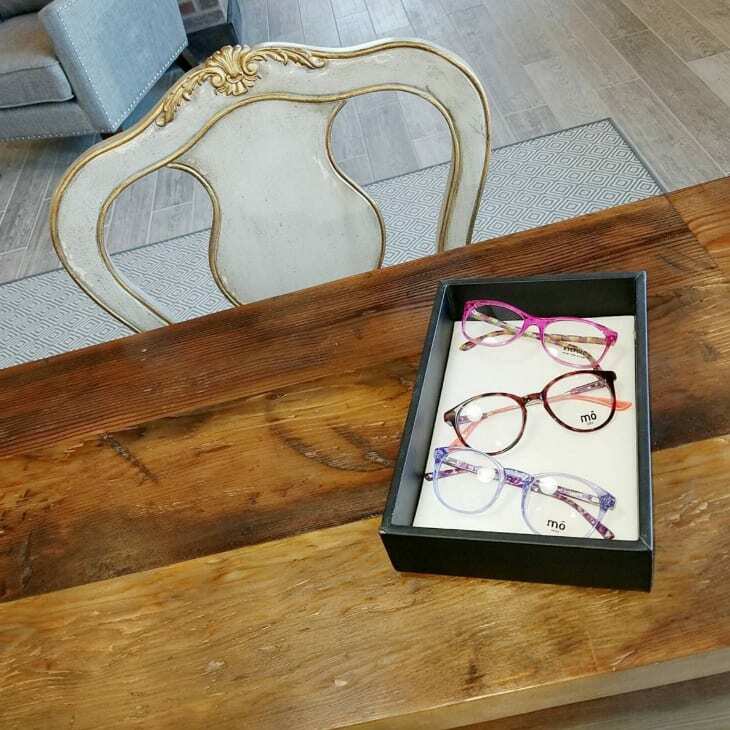 And for all my fashionistas, these glasses are unique, one-of-a-kind frames that you won’t find elsewhere in Kentucky and are made by artisans that are dedicated to giving back to their community. How cool is that?! 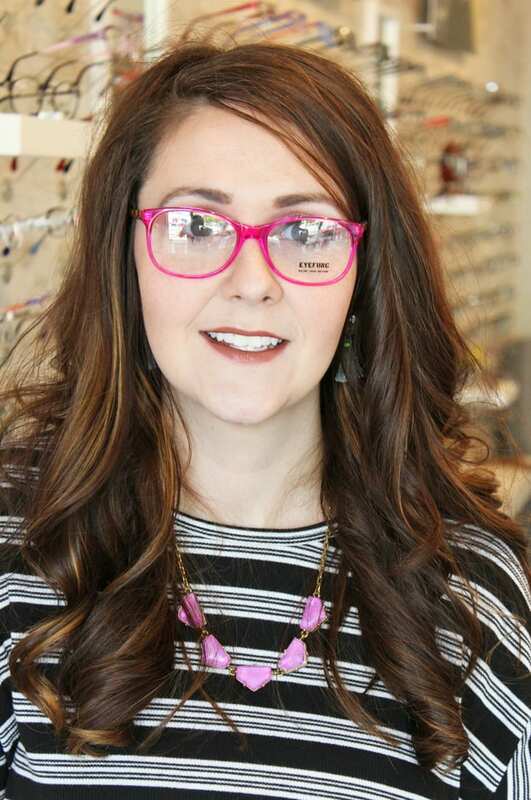 When I topped in at J. Galt Eyewear one Saturday morning to pick out my frames, I was blown away. It’s such a cute space, and their frame selection was phenomenal. I had such a hard time deciding on which frames I wanted!!! While the pink frames were sooooo close to being the winners, I went with a pair of navy blue frames that were red on the sides and had chrome over the nosepiece. They also have the keyhole bridge, which is on-trend. The opticians at J. Galt Eyewear were so helpful while I was trying to narrow down which frame I wanted. I have a more narrow face, so I shoot for a frame where the width of the lenses are less than 51 mm (this is the first number in a series of three numbers that’s on the inside of the temple arm). The eyeglasses I picked out are actually a pair of kids frames, but they fit my face well. They also helped me to pick a pair where the bridge fit well, which was something I had never considered before, but bridge fit is important as it helps distribute the weight of the frames across your face. 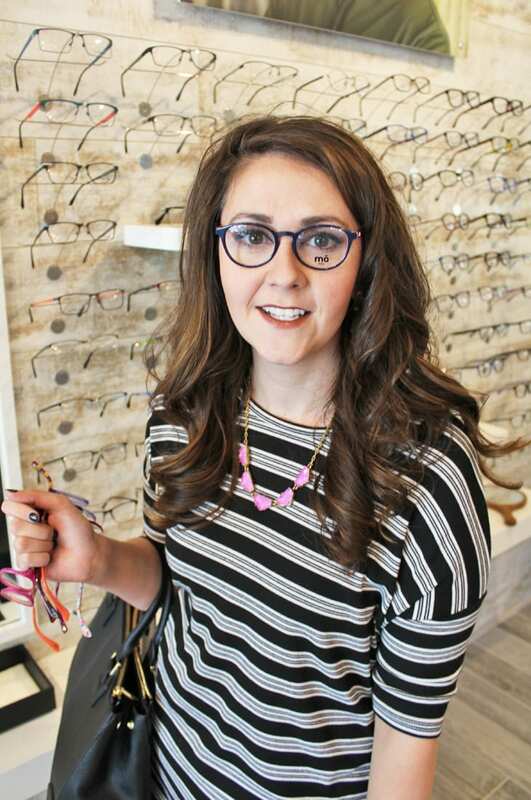 I was so impressed with J. Galt Eyewear, and I think you will be too (especially if you have a high prescription like me)! I love that their eyewear is an affordable luxury option that I haven’t been able to find before anywhere near their price point. I’m very pleased with how my eyeglasses turned out, and I wear them all the time! 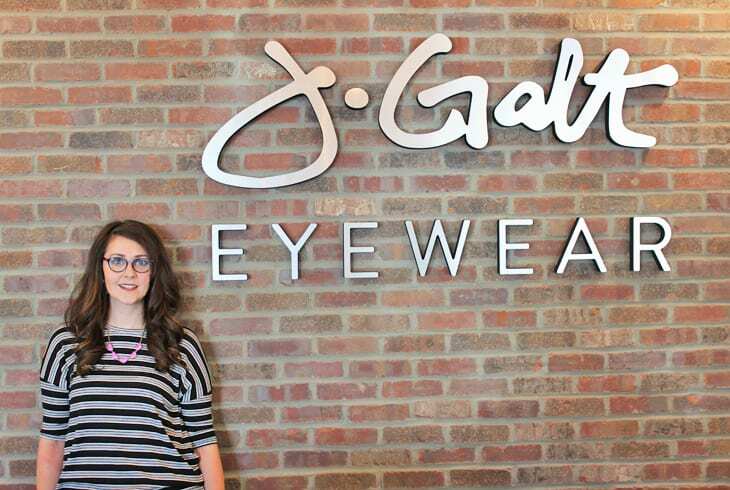 J. Galt Eyewear is located in Chevy Chase at 800 Euclid Ave, Lexington, KY 40502. They are open until 6 pm through the week and on Saturdays from 11 am to 3 pm.